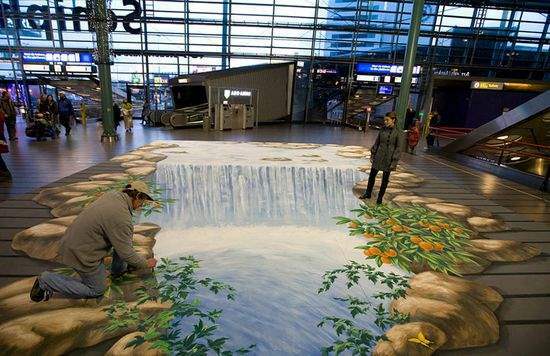 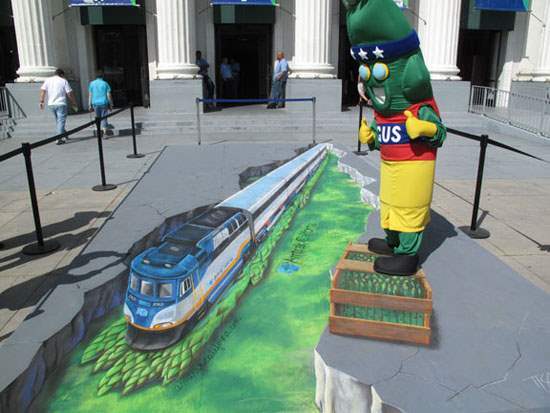 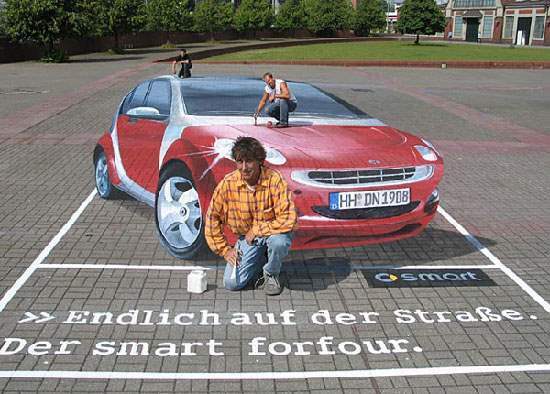 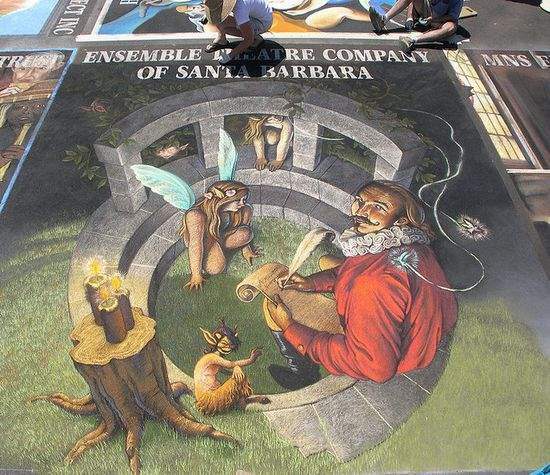 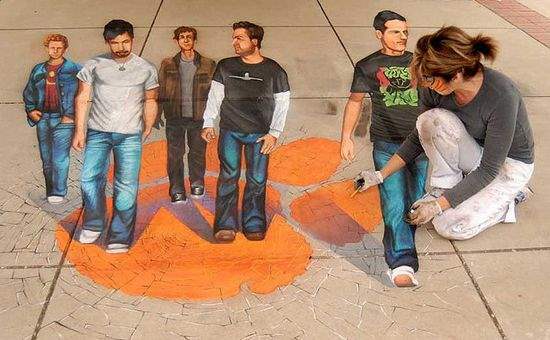 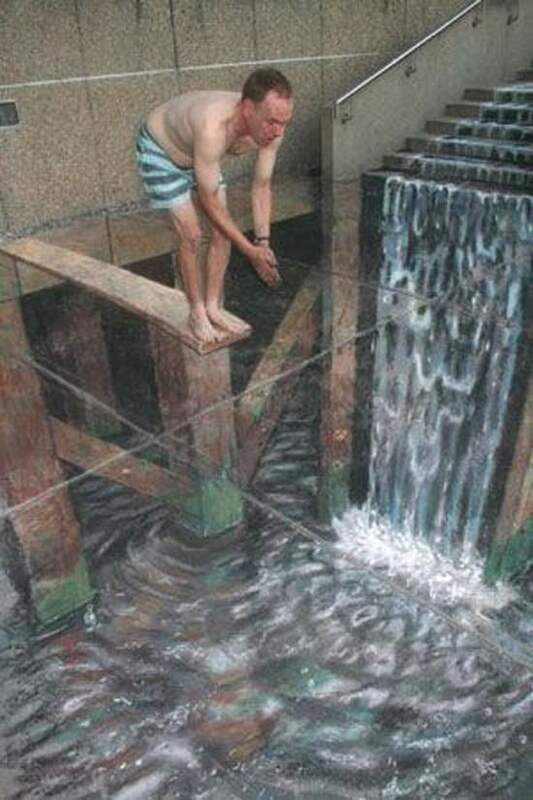 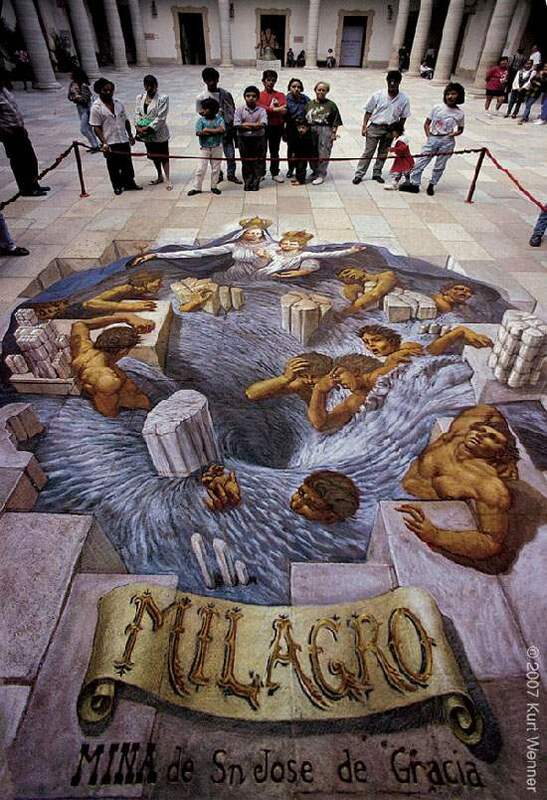 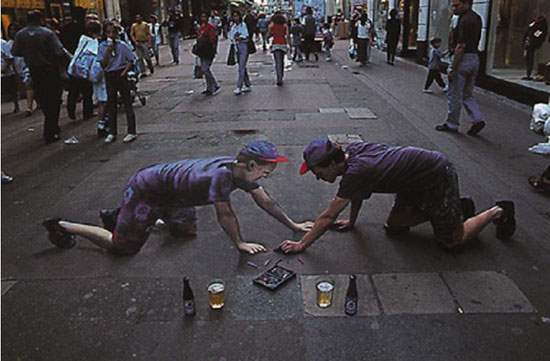 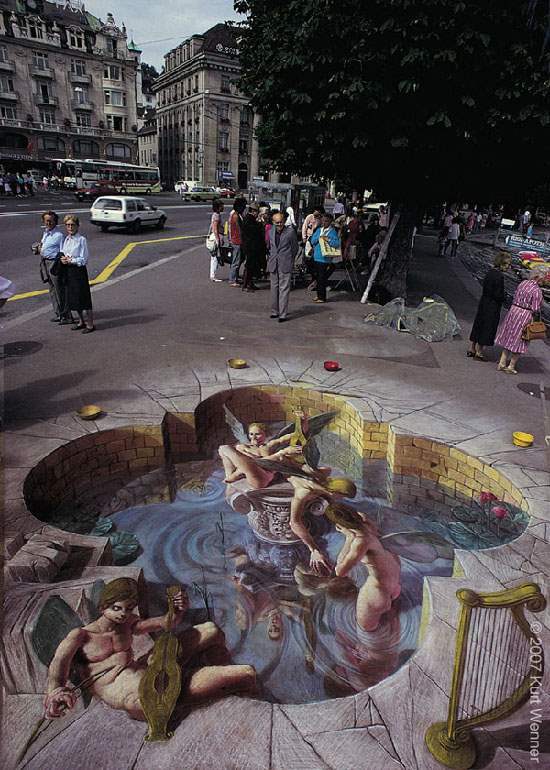 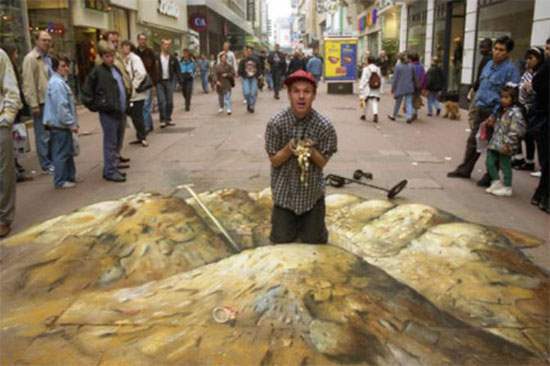 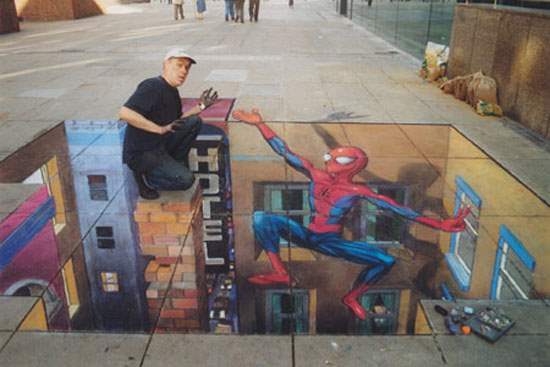 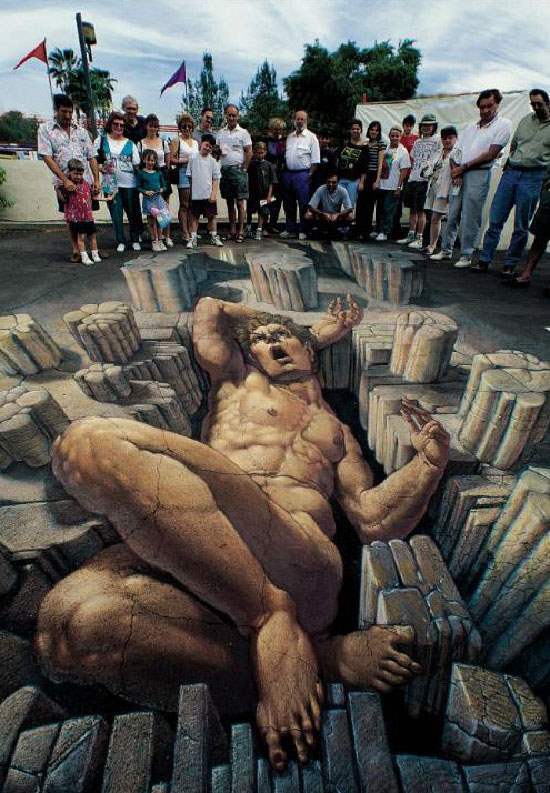 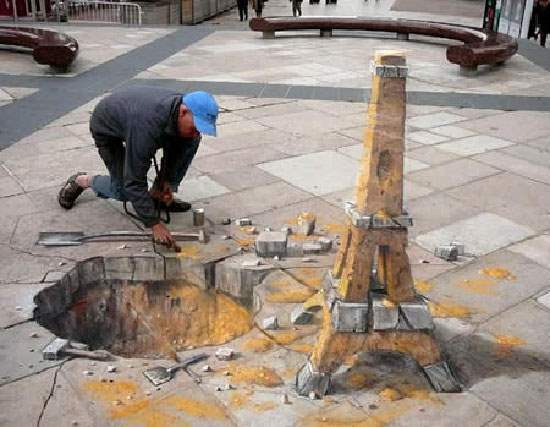 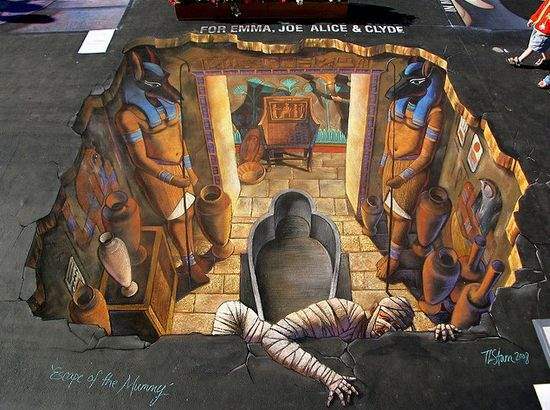 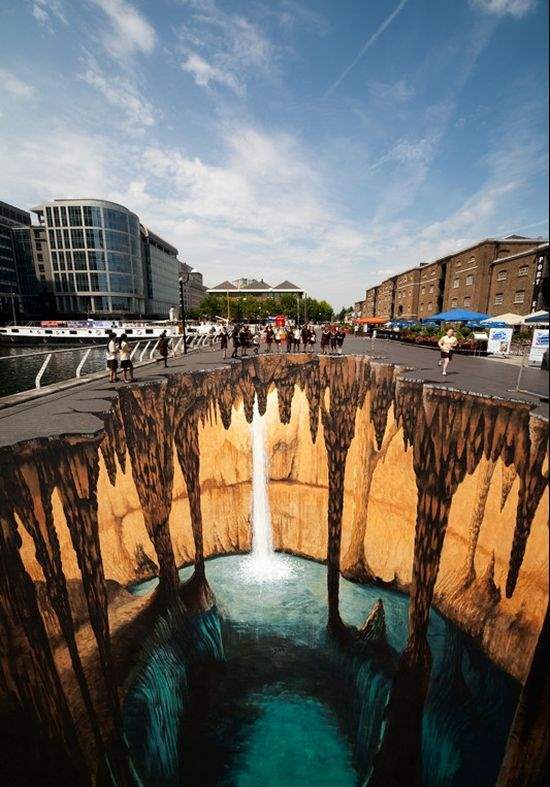 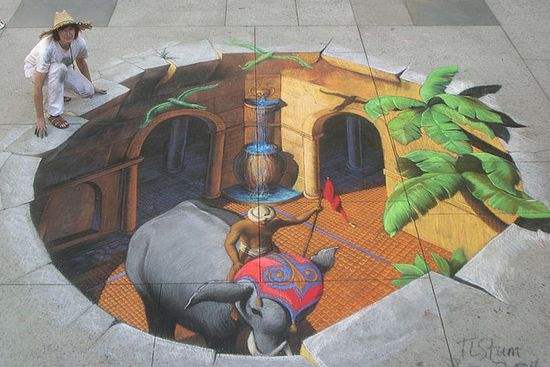 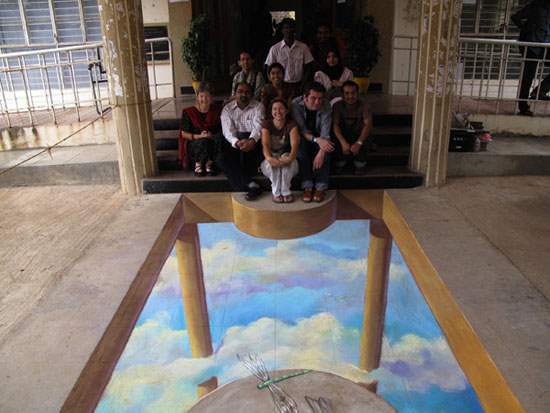 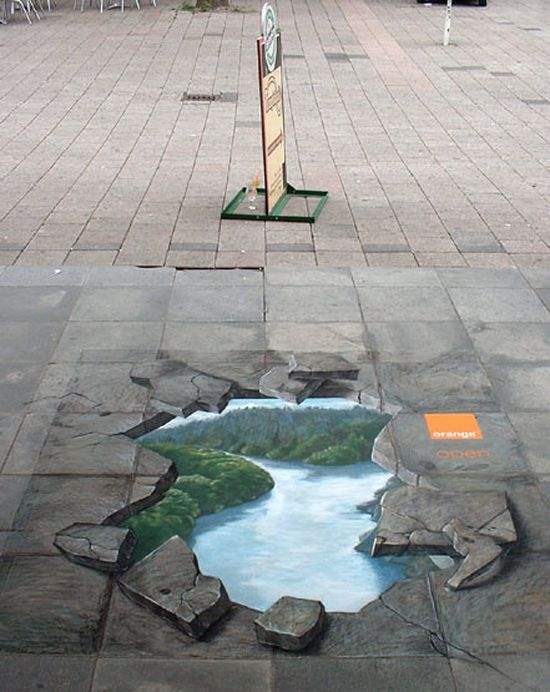 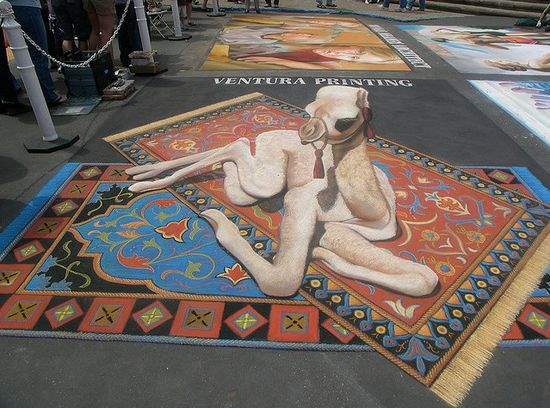 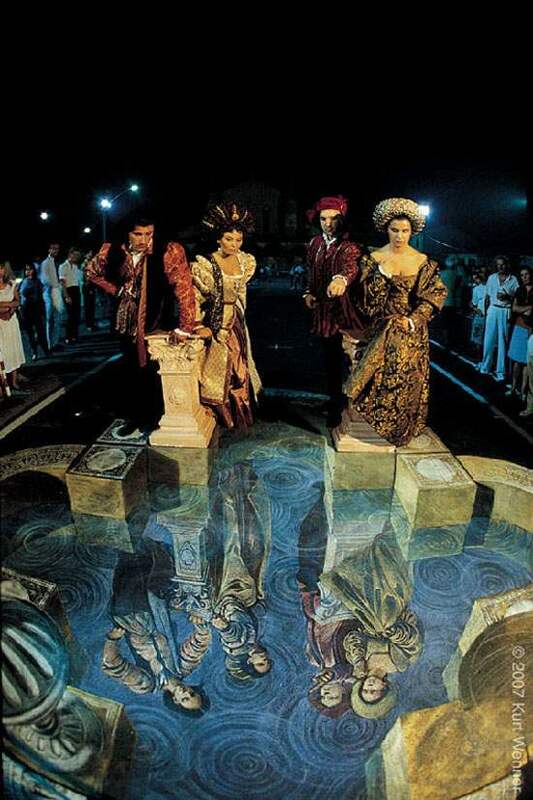 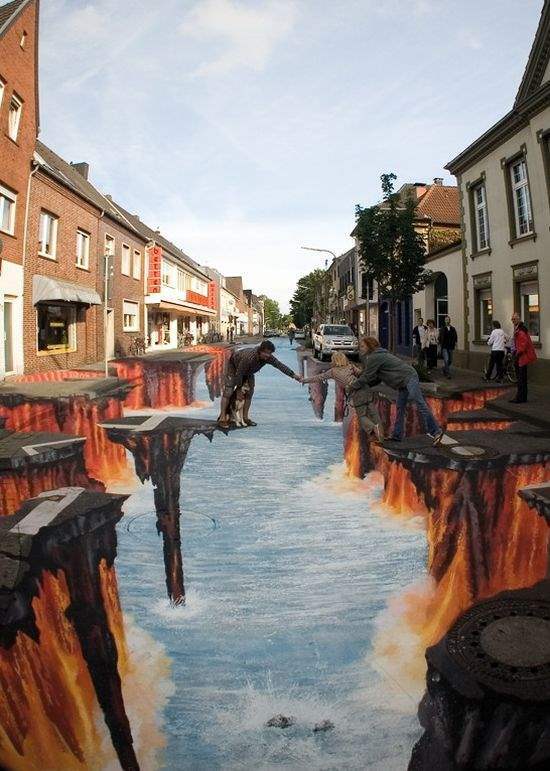 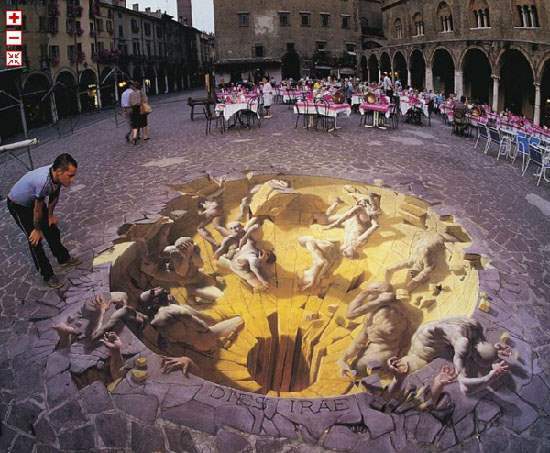 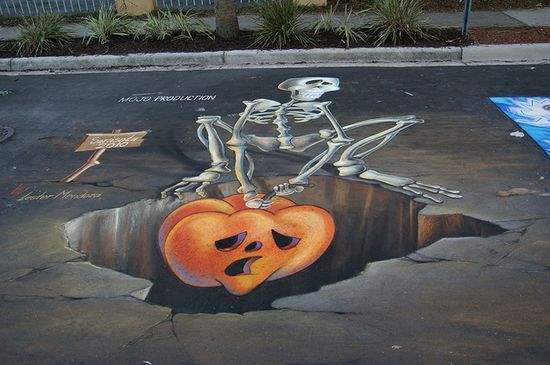 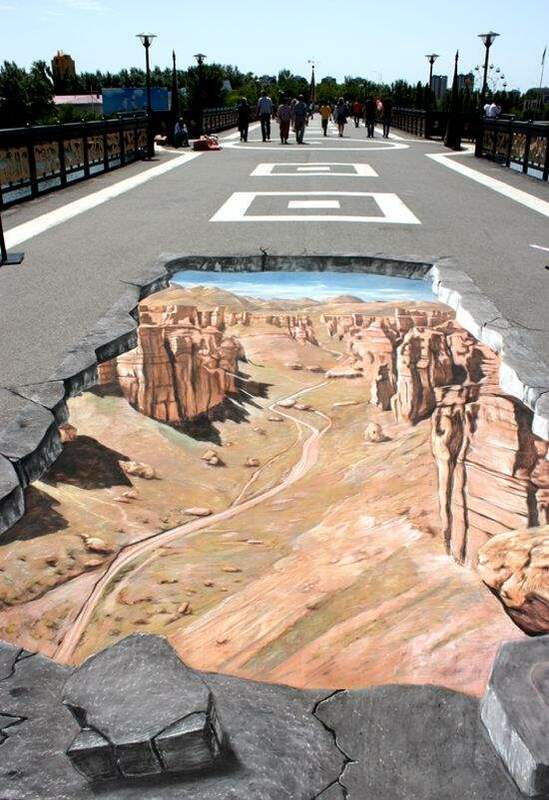 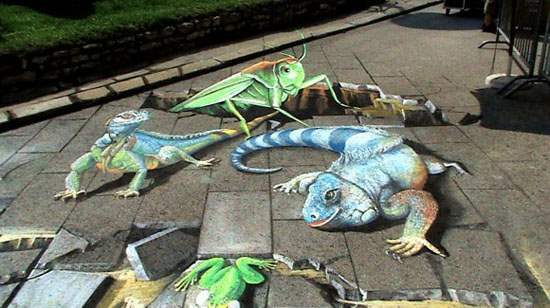 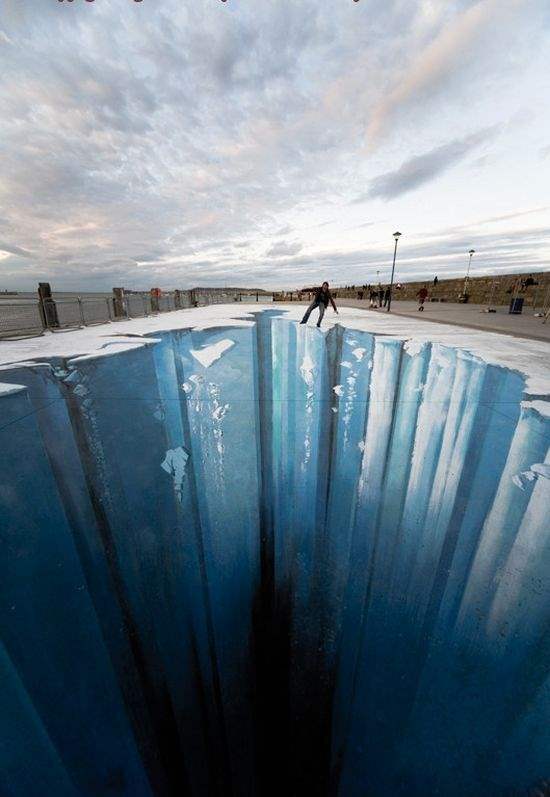 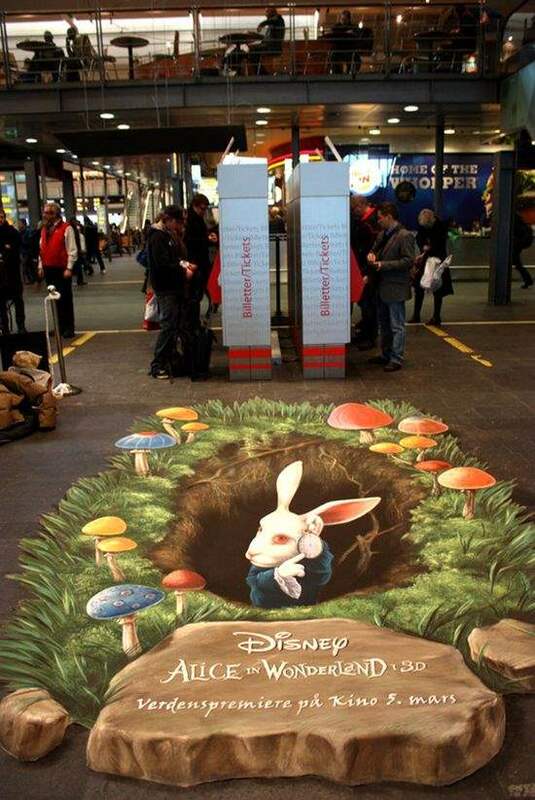 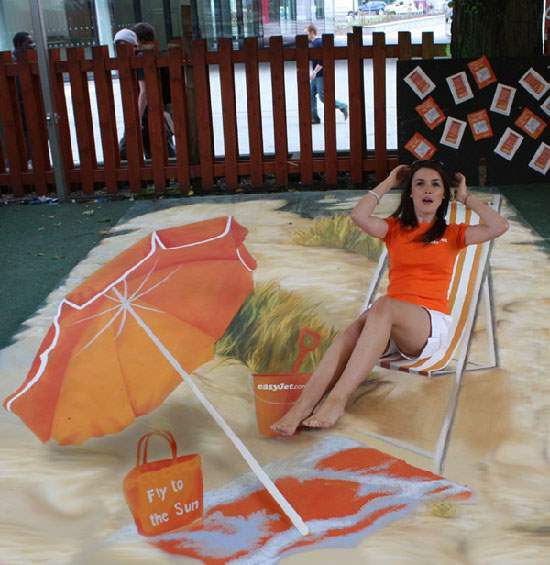 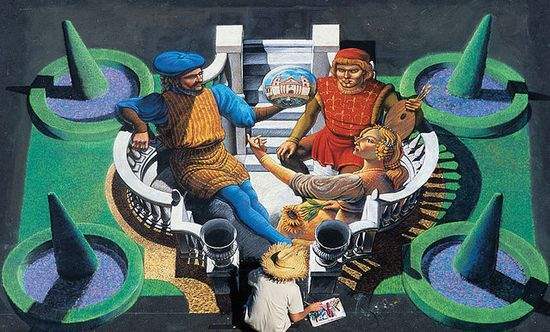 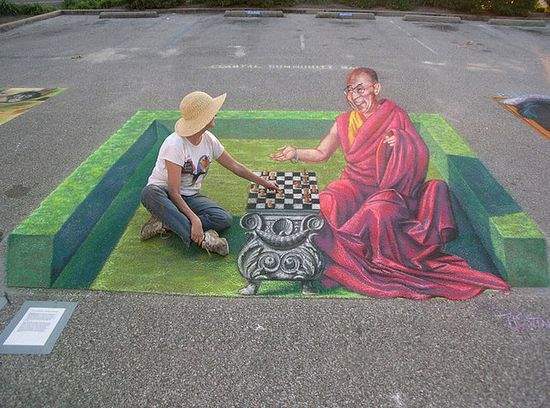 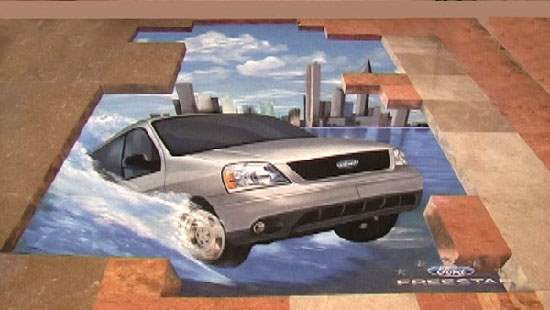 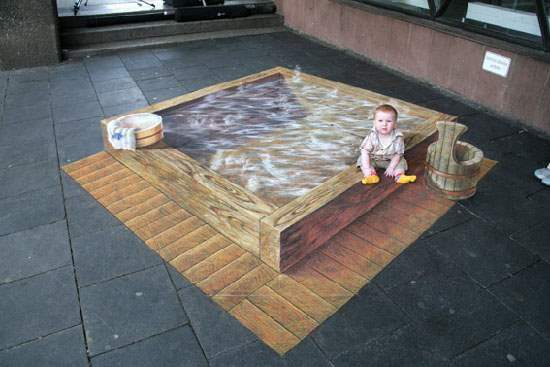 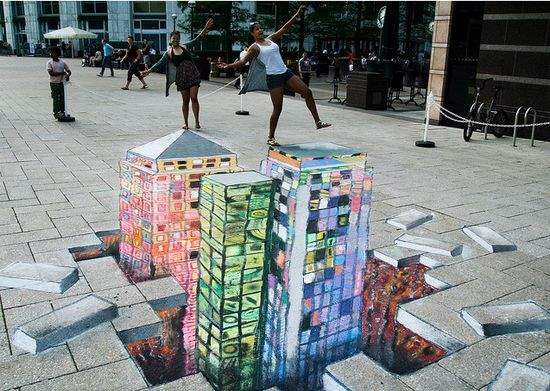 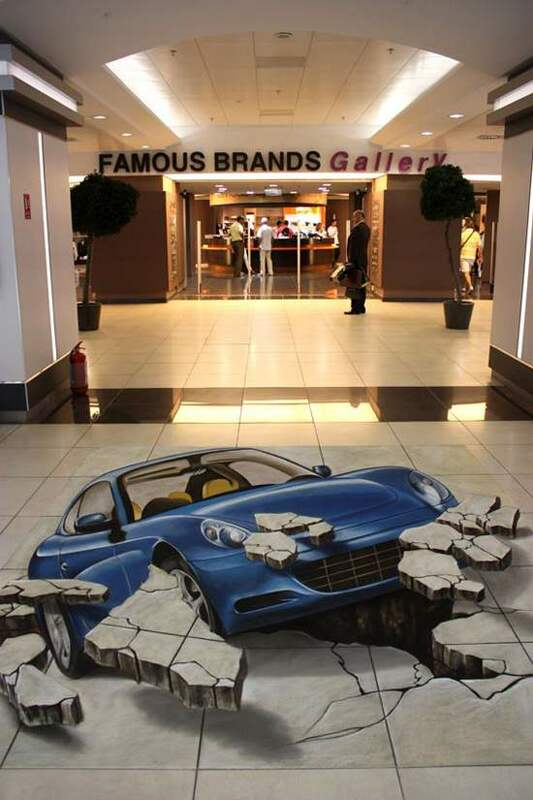 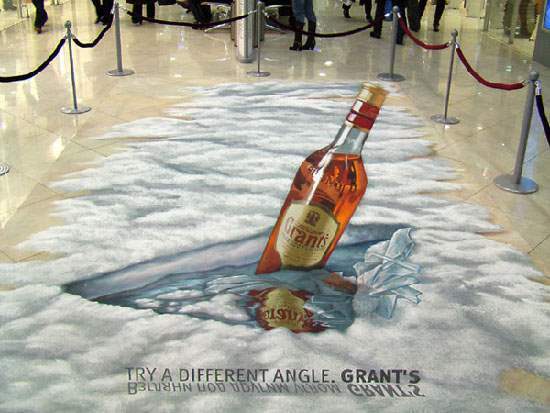 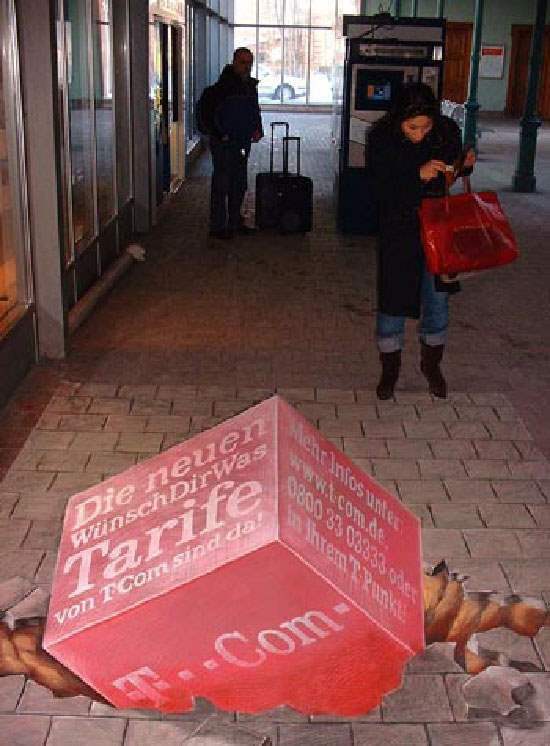 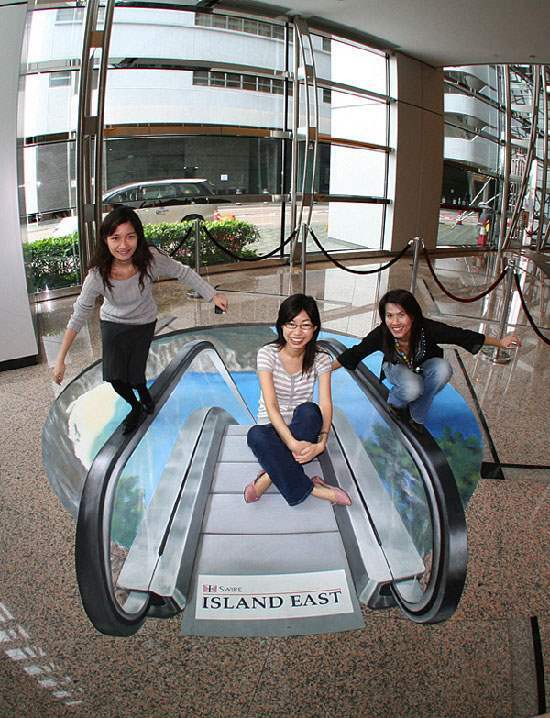 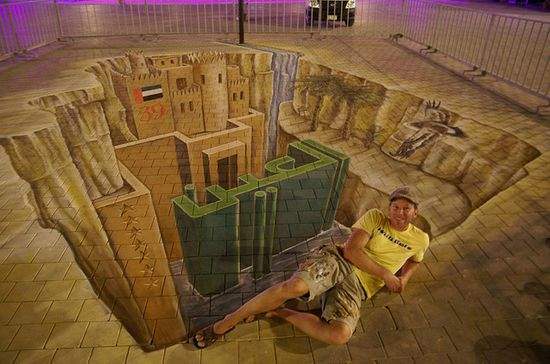 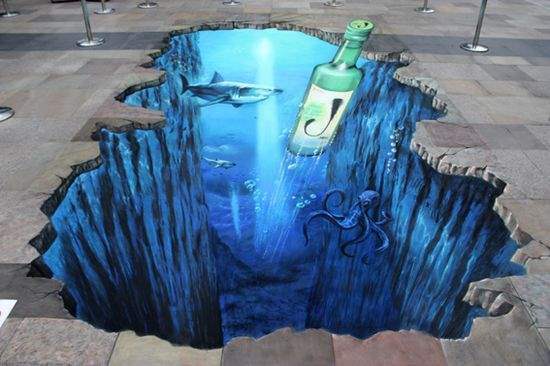 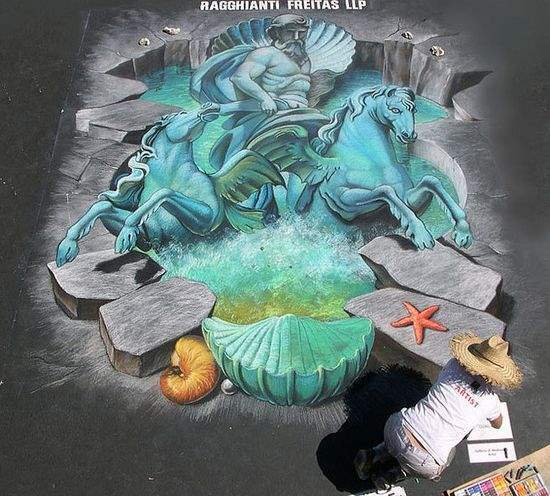 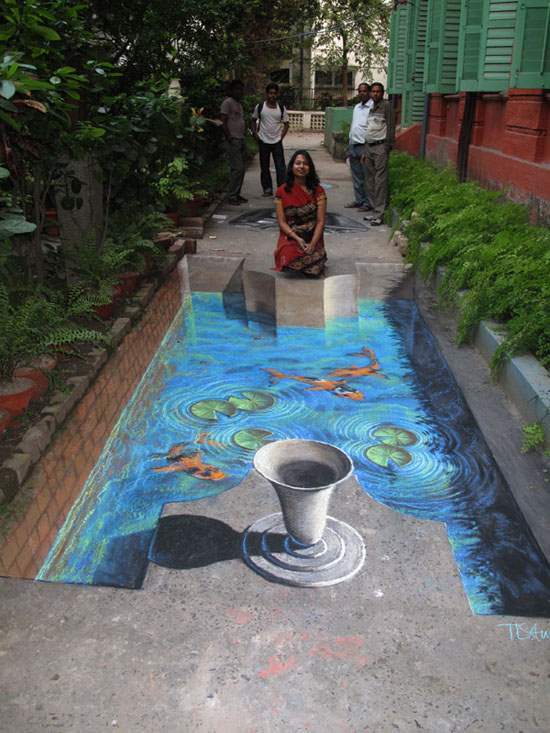 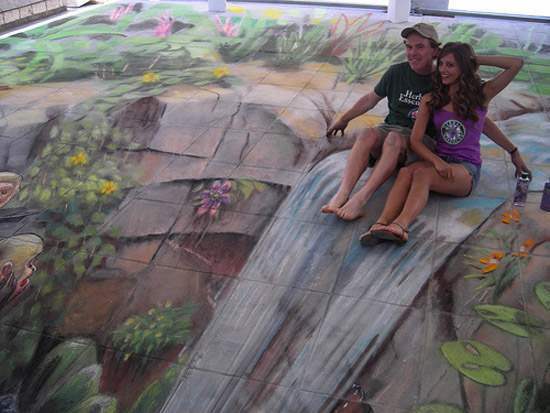 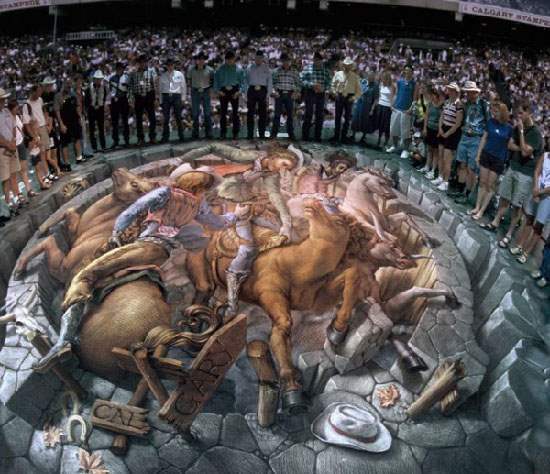 3 dimensional art, often known as 3d chalk art is 2-dimensional artwork drawn on the street itself that gives you a 3-dimensional optical illusion. 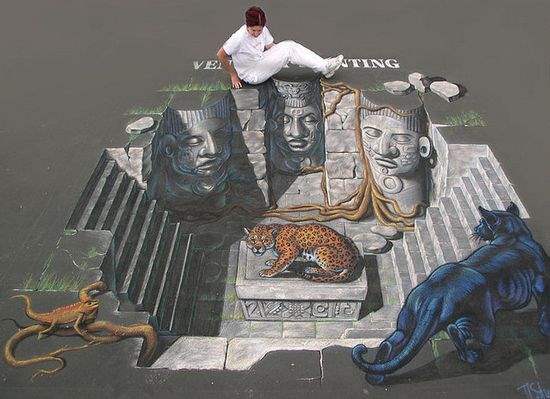 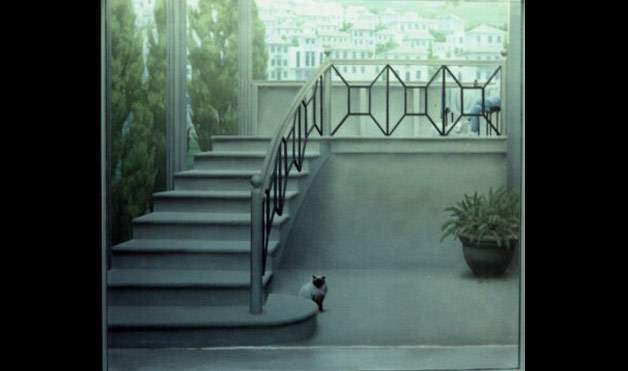 Three dimensional drawing nothing new – the concept itself dates back to the Greeks in the 5th Century BC – but employing perspectival techniques on such a huge scale and with such a broad scope is a much more recent innovation. 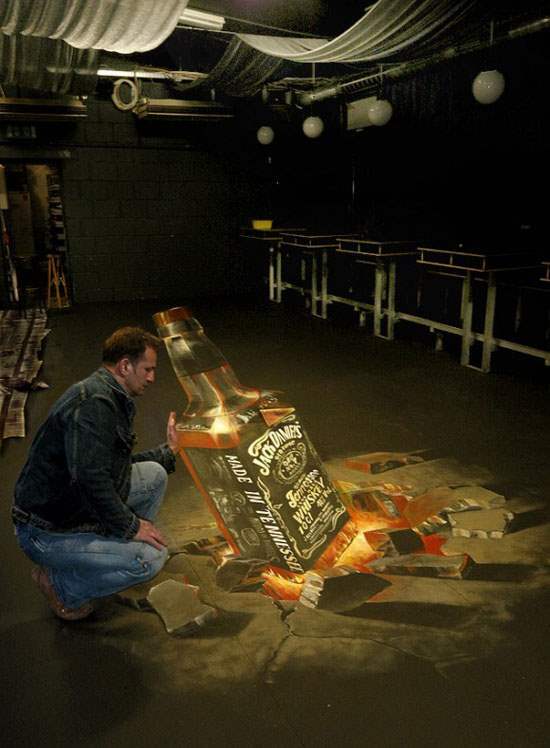 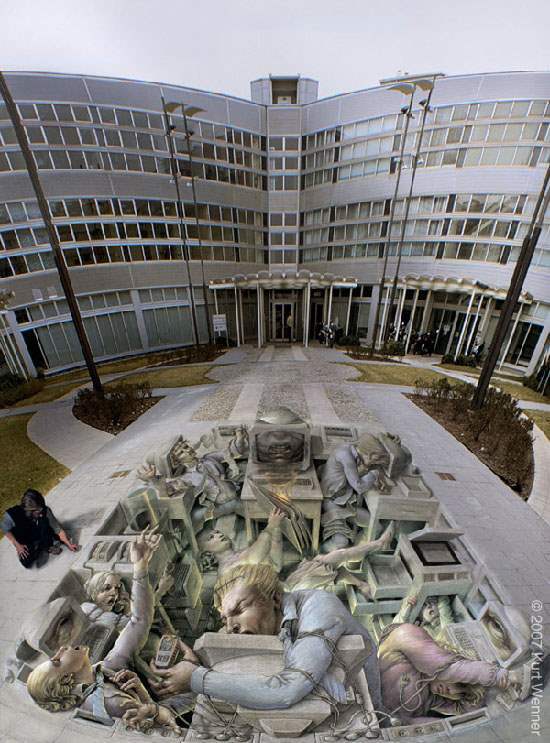 These 3D street artists gives graffiti a whole new meaning – one that departs from the conventional interpretation of graffiti as vandalism in the form of images and letters scrawled on public property. 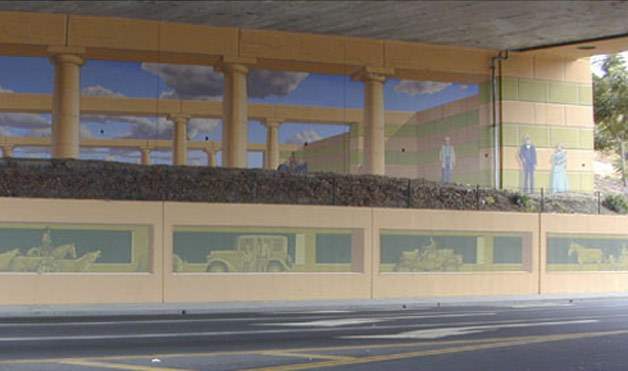 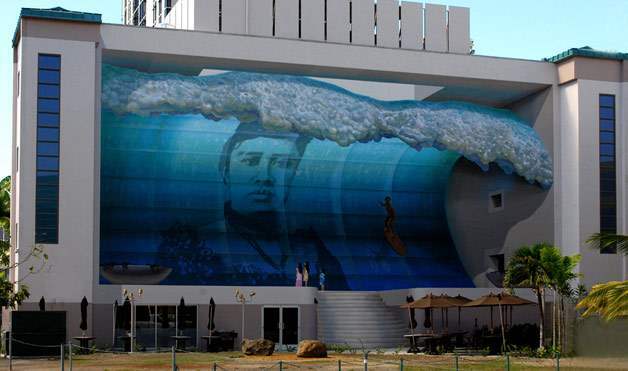 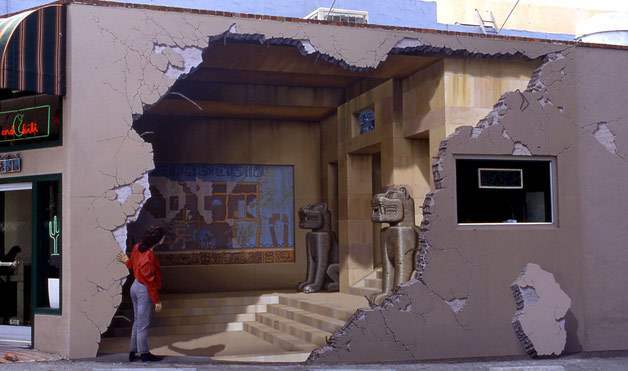 However, at the same time, bad street art can ruin a very nice downtown building making all neighborhoods seem run-down and uninviting. 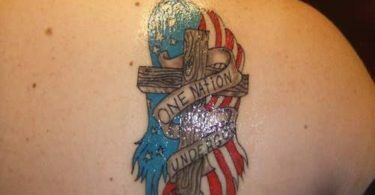 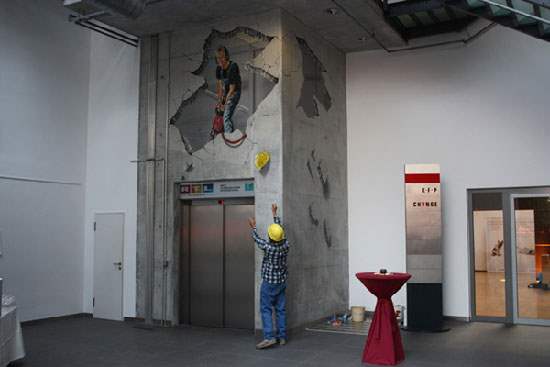 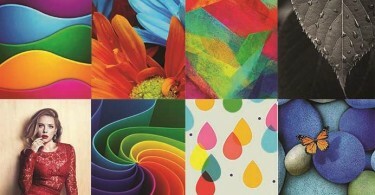 That’s why there will always be a debate whether it’s art or vandalism. 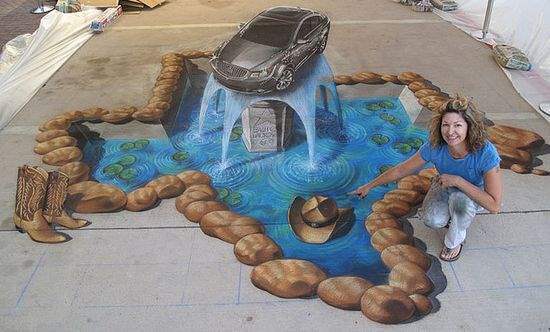 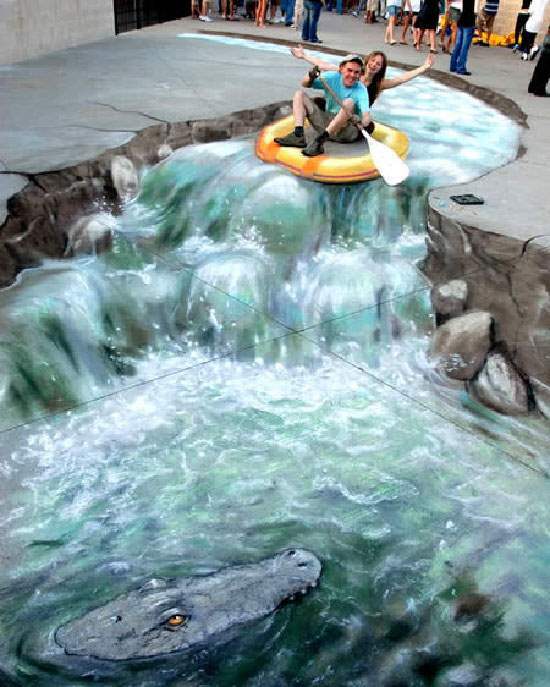 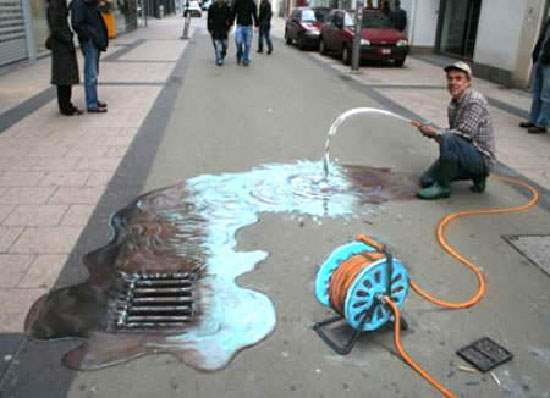 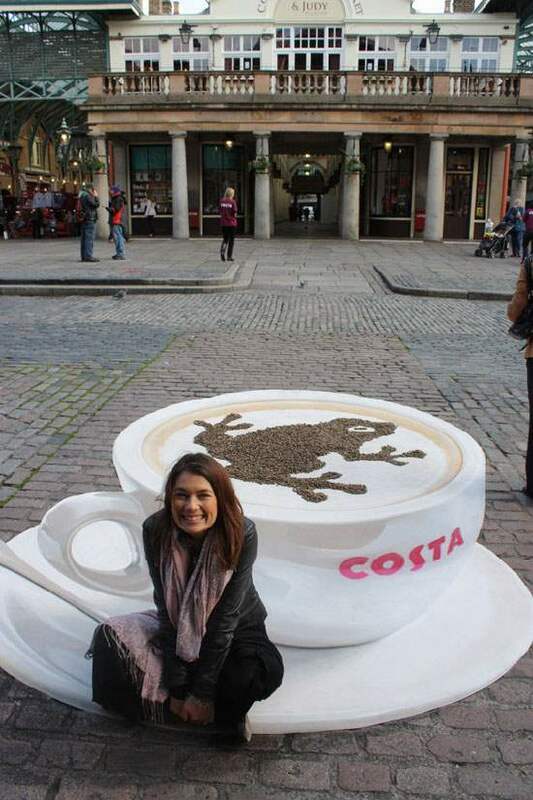 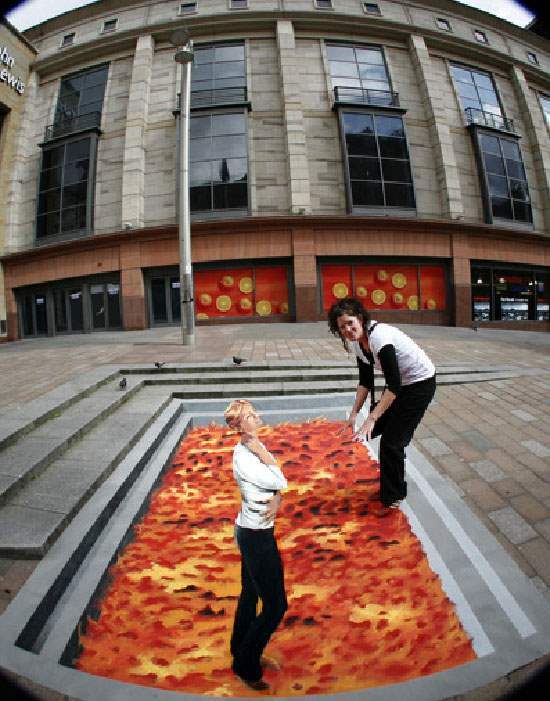 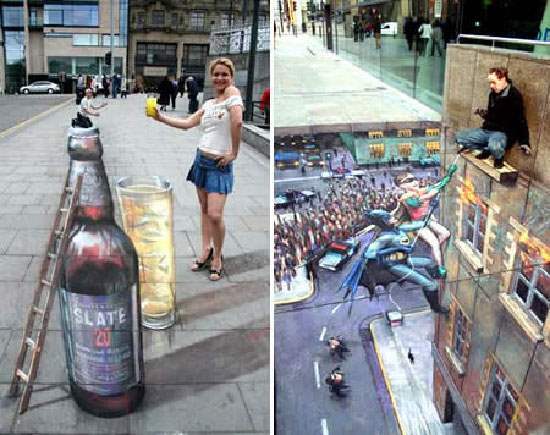 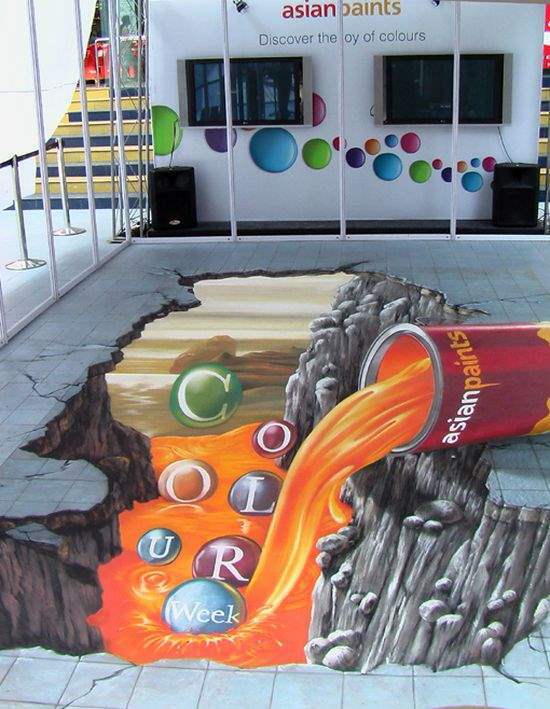 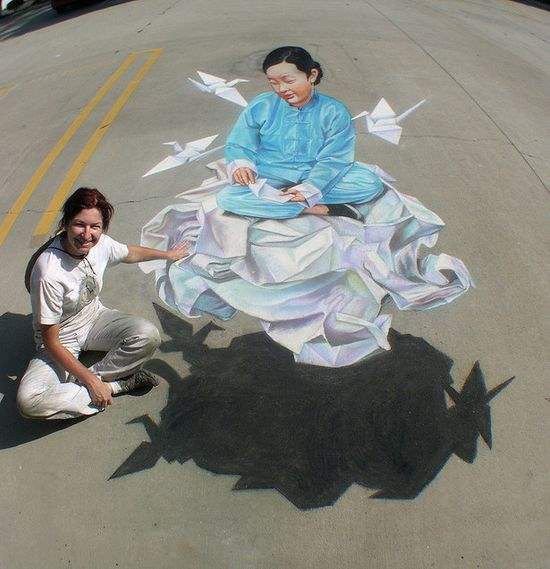 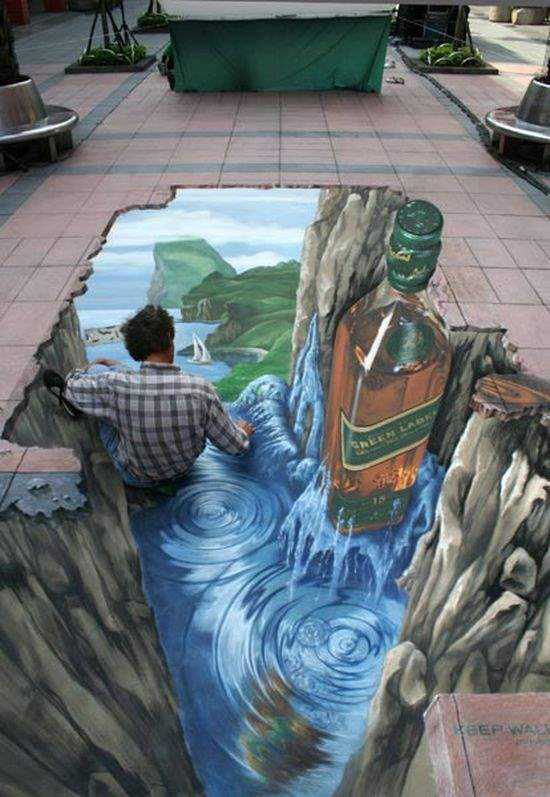 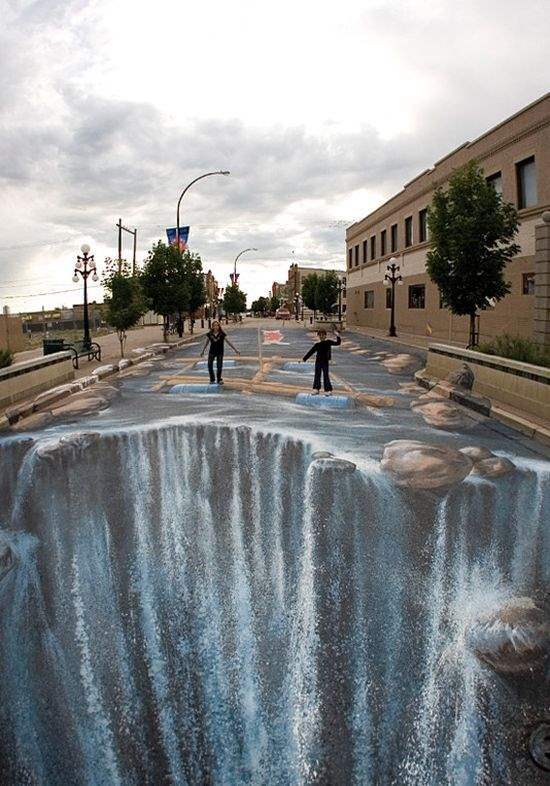 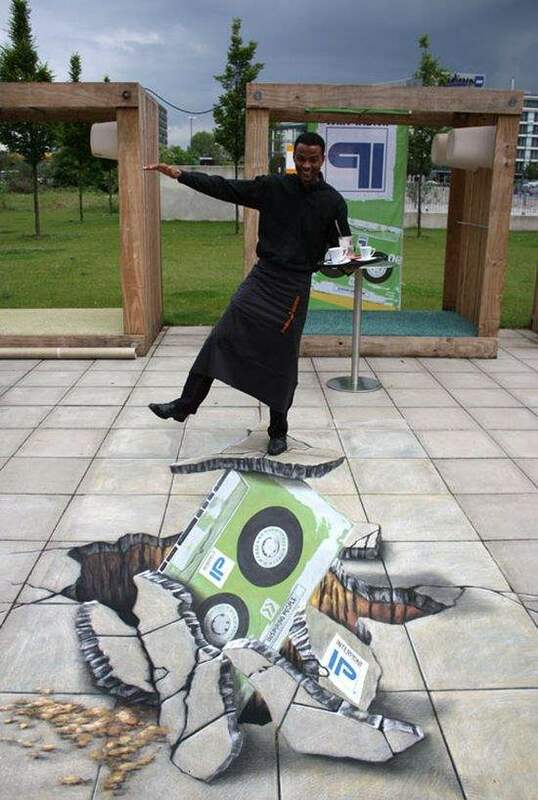 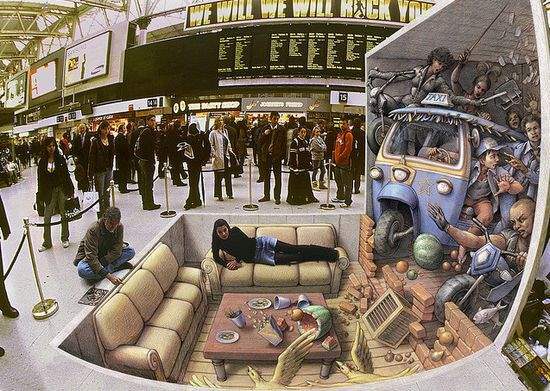 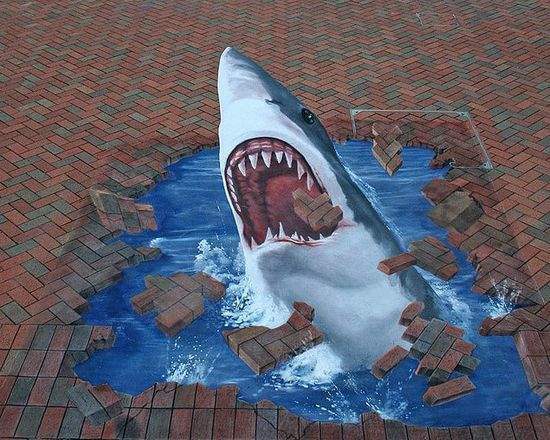 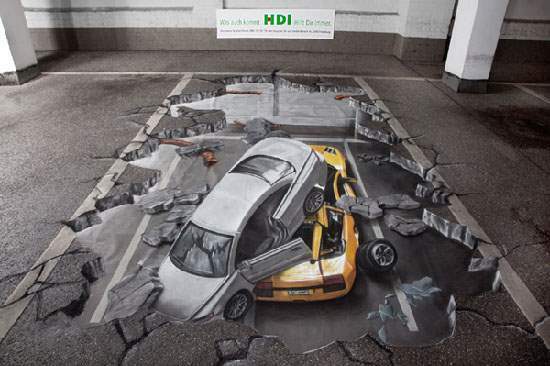 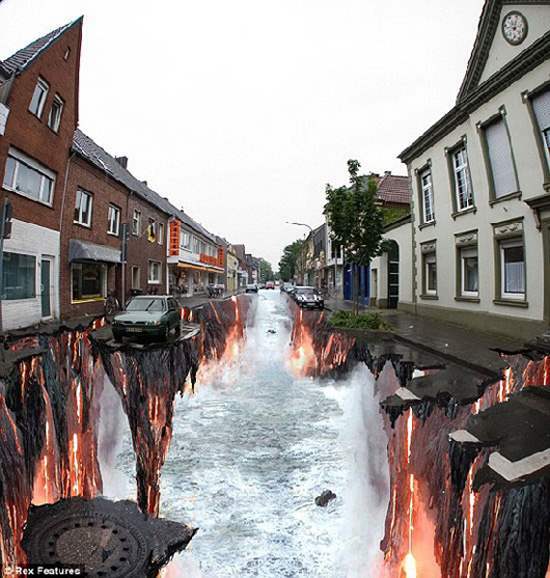 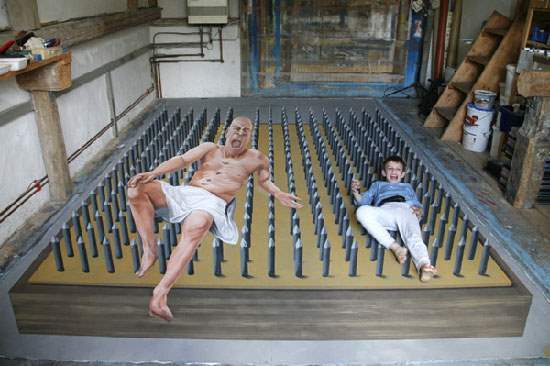 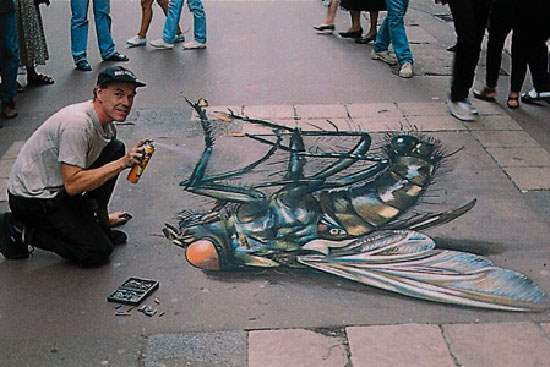 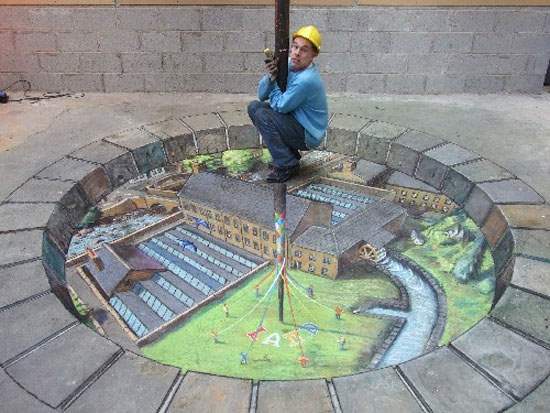 In today’s post, I’d like to show you some of the 70 Stunning 3D Street Painting that I’ve came across and I think you’ll like them too. 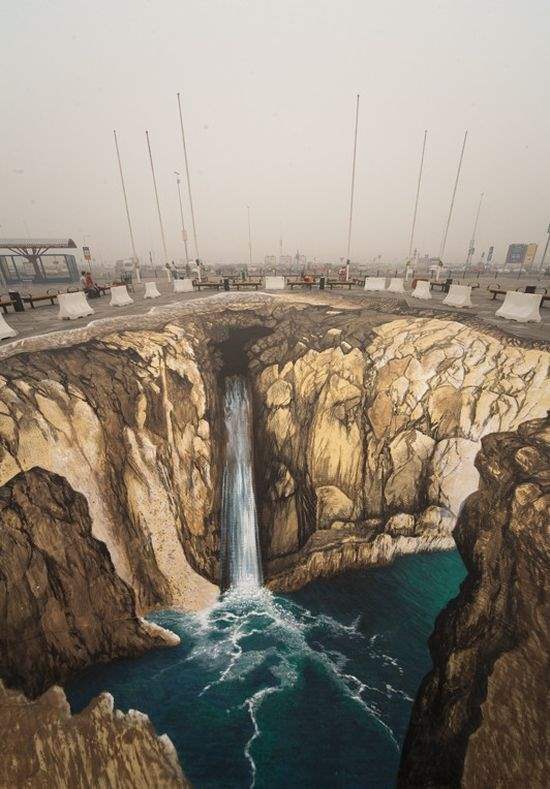 How they protect these nice paintings from rain, snow or other natural or not natural damage?